What has been presented in this book is an ethnically, culturally and socially complex situation, dominated for years, indeed centuries, by various power groups. 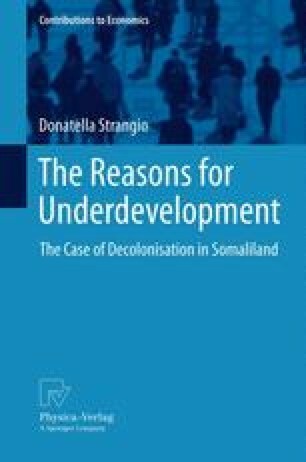 The ordinary people of Somalia move on in an almost autonomous way. With no real power because of the poor mechanisms of representation in government, they have only the traditional system based on a subsistence economy to rely on. Without a change in direction and policy to give social classes and other nations the possibility to actively take part in the recovery of Somalia, there will never be a real chance to create internal unity.